From epic mountain peaks to beaches and bays for days, discover why Hinchinbrook Island should be at the top of your holiday bucket list! Hinchinbrook Island is home to the world-renowned 32km Thorsborne Trail, a self-sufficient 4-6 day hike that's best known for its Jurassic-like peaks and diverse natural landscapes. With only 40 people permitted to camp on the Island at any one time, you're guaranteed some quality one-on-one time with the amazing natural surroundings. You can access the Island, including gorgeous Zoe Falls, while you tackle the trail or on a single day trip. From beaches and bays, rainforests to waterfalls - get ready to tackle some seriously diverse landscapes, from the cloud-covered mountains, to lush rainforest, tall eucalypt forest and mangrove fringes. Chasing waterfalls on Hinchinbrook Island! ???????????? Had such a great afternoon on the day trip from Orpheus to Hinchinbrook and Zoe Falls! So many jungle perch here in the crystal clear waters! Get your David Attenborough on and meet some of the locals that call the Island home. From friendly fish to sneaky snakes, and even crocodiles, be prepared to encounter some of Northern Australia's native creatures. Seriously, now you're just showing off Hinchinbrook Island! Across the Island, you can find seriously jaw-dropping sites just like this one at the top of Zoe Falls. If you need to get off the grid and back to nature, we've got the perfect place! You won't find reception to check your emails, scroll through Facebook or even upload to your Insta story! 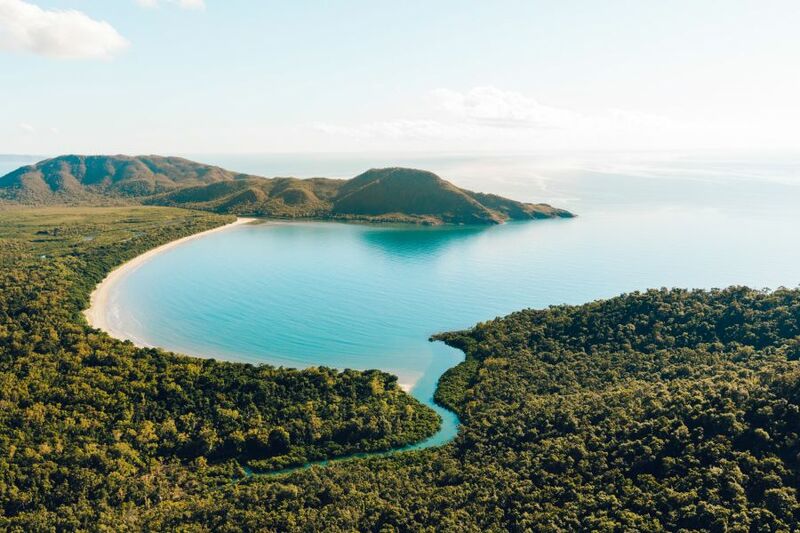 If you’ve got a thirst for adventure and would like to experience the magic that is Hinchinbrook Island, your quickest link is via Lucinda, just a 1hr 45min drive north from Townsville. Check out Absolute North Charters for your island transfers and don’t forget to book your permits well in advance! Happy hiking!